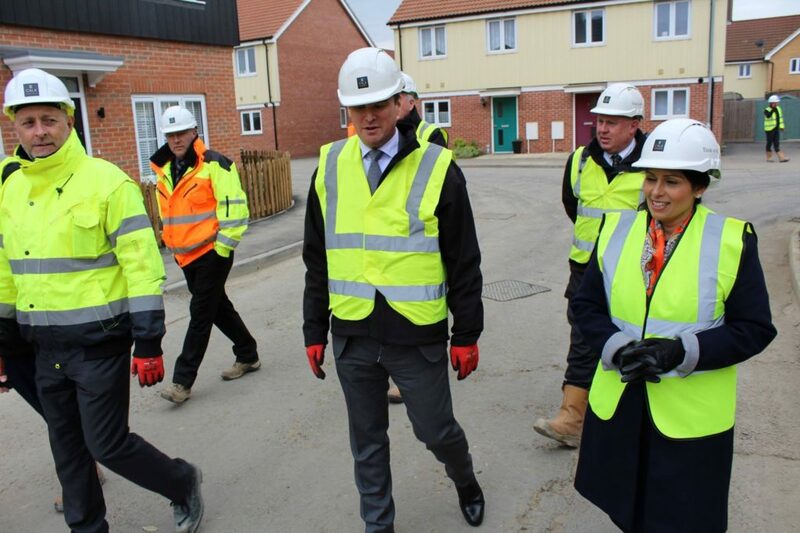 The Witham MP, Priti Patel has paid a visit to the Furly Meadows housing estate, currently being built in Stanway, on the edge of her constituency. 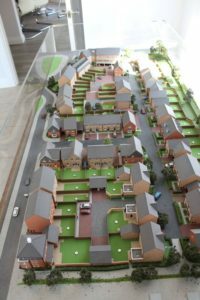 The Cala Homes development is providing a mix of housing opportunities including affordable homes. 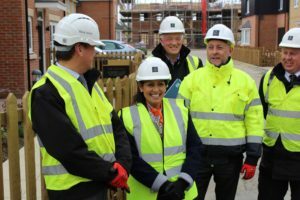 Ms Patel was given a thorough briefing about the site by Duncan Jackson, the Cala Homes Managing Director (Northern Home Counties) and shown a scale model of the completed estate before donning protective equipment for a tour.